We caught up with Hope Warshaw, MMSc, RD, CDE, to talk with her about healthy restaurant eating with kids and how best to prevent prediabetes and type 2 diabetes. Warshaw is a nationally recognized diabetes educator and weight and nutrition expert. 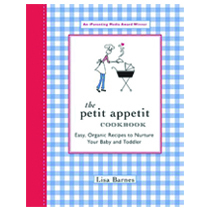 She’s authored several books and resources about healthier restaurant eating over the last two plus decades. 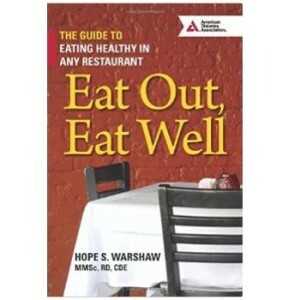 Her newest book is, Eat Out, Eat Well – The Guide to Eating Healthy in Any Restaurant (American Diabetes Association, 2015) and there’s also a companion app, Eat Out Well—Restaurant Nutrition Finder from the American Diabetes Association. 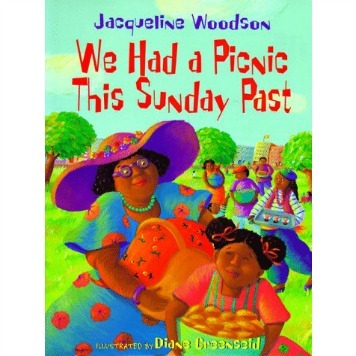 What is the focus of her book? In her book, Hope describes her straight-forward and realistic approach to eating restaurant meals from fast food to fast casual, to upscale dining and numerous ethnic cuisines. Eat Out, Eat Well is your go-to resource for assembling all types of healthy meals and snacks. You’ll get the low-down on which ingredients, food preparations and food items you should limit or eat for 15 styles of restaurants and cuisines. In her book Warshaw covers all types of fast food including burgers, subs and pizza and ethnic cuisines from Chinese to Japanese to Indian, Middle Eastern and, of course, Mexican and more. Warshaw’s practical and realistic tips will help your family members eat healthier restaurant meals. 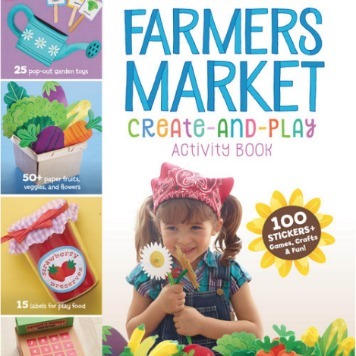 The book provides much more than just a listing of the healthier items. You’ll learn about the 10 major pitfalls of restaurant meals and then gather skills and strategies to conquer each one of them. How will Eat Out, Eat Well help you? Recognize the ways in which fat creeps unexpectedly into any and all restaurant menu items as well as extras on the table. Learn how to make reasonable special requests to make your family’s menu selections healthier. Limit foods and beverages with added sugars. Master menu creativity and how to outsmart menus to get less food put in front of you to better control those huge restaurant portions. Make educated guesses about the calorie and nutrient counts of menu items when information is limited. Get a sneak peek of the restaurant nutrition labeling regulations being implemented by FDA in late 2015. Balance health with enjoyment of restaurant meals. Eat Out, Eat Well contain some nutrition facts for the purposes of showing the outlandish calorie counts of some foods and a handful of healthier bets. For an endless list of restaurant foods and to ensure you always have up-to-date restaurant nutrition information at your fingertips, Warshaw has worked with an app developer to develop a companion app, Eat Out Well—Restaurant Nutrition Finder from the American Diabetes Association. You can download the app for free at the iTunes App Store and Google Play. Use the Eat Out Well app to search the nutrition information for hundreds of independent and chain restaurants based on your current location. Plus the app will allow you to save your favorite dishes. We asked Hope to talk about the messages she tries to deliver in her book as well as her vast knowledge on what it takes to raise healthy children, prevent diabetes (a growing epidemic in kids) and live a more healthful lifestyle. Wearing the hats of both a parent and health professional she believes its incumbent upon parents to give our children skills and strategies to eat healthy restaurant meals. These will be life skills for our children who are, like it or not, expected to eat restaurant meals even more frequently than we do now. To assist parents, Warshaw has included a chapter in Eat Out, Eat Well specifically on healthy restaurant eating with kids and she includes tips for parents in each one of the 15 specific restaurant style-focused chapters. What are your three most important nutrition tips for parents who are working on creating healthier eating habits for their children? Actions speak louder than words. “Monkey see monkey do!” Check out these Top 10 Ways to Establish Healthy Eating Habits. Take advantage of opportunities that allow you to bring healthy foods into an eating environment (e.g. to the soccer field, Girl Scout meeting, or a school or religious celebration). Widen kids’ palates. There’s a big assumption that kids won’t eat certain foods. 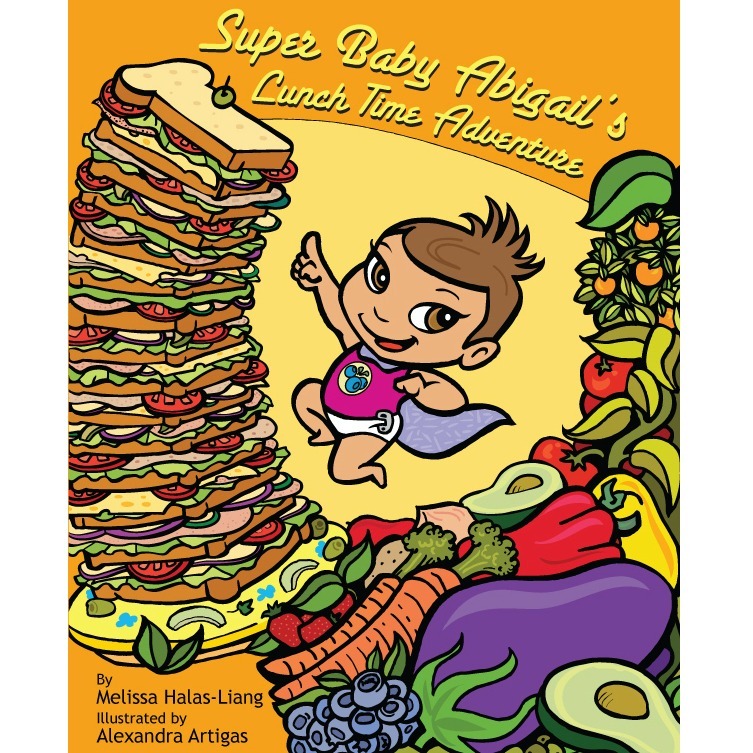 This has been translated into serving kids only certain “kid foods” like mac n’ cheese, pizza, or burgers and fries; in the home, in restaurants and even in schools. Start young and expand your child’s food selections and eating experiences. Avoid kids’ meals and kids’ menus as long and often as possible. (Exception: kids’ meals in fast food restaurants do provide smaller size servings and have begun to provide healthier options.) Don’t let wait people hand these to your children. Foods on these menus are typically not so healthy and nearly always include French fries. They also narrow scope our children’s palates. So it’s helpful not to reinforce this further. Broaden your children’s palate by taking them to a wide gamut of ethnic restaurants. Japanese, Thai, Middle Eastern and more. Yes, children will eat these foods! They’ll also get exposed to traditions and people of countries all over the world at the same time. Order from the “adult” menu. Order a few menu items that everyone will enjoy and share them up family style. This works particularly well with ethnic fare – Asian, Mexican and Italian food. Put entrees in the middle of the table, request extra plates and divide up portions. Your kids may enjoy smaller portions by ordering one, two or more small dishes, from soups, salads, appetizers and/ or side dishes. Encourage them to mix and match and put together healthier meals creatively. Teach them to practice portion control by splitting and sharing portions. For example, order a large French fries and split it among the family rather than an order for each diner. Order one sandwich or entrée and split it. Many times, portions are most often big enough for two! Split dessert. If you’re going out for ice cream, look for the kiddie or junior portion. Limit (better yet avoid!) regularly sweetened beverages. Encourage them to order low-fat milk, water, or 100% fruit juice. Check in on the frequency with which you are eating out. It’s simply easier to prepare, choose and eat healthier meals at home. Teach your children to cook and participate in food and meal preparation. It’s important for them to learn basic cooking skills and have a repertoire of recipes they’re comfortable fixing. Keep in mind you are teaching them survival skills for life! Do you think that it is becoming easier or more difficult to eat restaurant meals more healthfully as a family? In all honesty, my answer is both yes and no for different reasons. From the standpoint of portions and types of foods available at restaurants, eating healthfully is still a challenge that one needs to be able and willing to deal with. It takes willpower, creativity, and pure perseverance! I provide many skills and strategies in my book Eat Out, Eat Well. You can make healthy restaurant eating easier by choosing restaurants for yourself and your family which make this less arduous and minimize your battles with children. For example: choose Subway rather than a fast food burger place; choose ethnic fare over American fare restaurants. It is much more of a challenge to eat healthfully in American fare restaurants due to the types of foods served and the huge portions. Since you’re a nationally recognized diabetes expert, can you describe what diabetes is for our readers? Diabetes is actually several conditions with one general name. In general, diabetes is a group of diseases in which the common denominator is blood glucose levels that are higher than normal. The major explanation for the high blood glucose levels has to do with either insufficient amounts of insulin being produced by the pancreas and/or the inability to properly use the insulin made by the pancreas due to phenomenon of insulin resistance caused, to a large degree by excess weight and genetics. Type 1 diabetes is usually (but not always) diagnosed during childhood or young adulthood. It is an auto-immune condition in which the body destroys the insulin-making beta cells in the pancreas. Type 2 diabetes is most often a combination of insulin resistance and relative insufficient amount of insulin. Most people with type 2 eventually need to take blood glucose-lowering medication which may include medication taken in pill form or injected. It’s very common for people with type 2 to also have high blood pressure and abnormal lipid levels. Why are we seeing so much more pre-diabetes and type 2 diabetes now? We are seeing an epidemic of pre-diabetes (86 million in the U.S.) and type 2 diabetes (about 25 million in the U.S.) due to our obesity epidemic. Unfortunately, they go hand in hand – where there’s obesity, there’s type 2 diabetes! As a parent, help your child stay at a healthy weight. Then suggest activities which include physical activity instead of sedentary activities. Check out these fun activities and recipes which not only help prevent cancer, but type 2 diabetes and heart disease. Together we can make a difference and reverse the statistics and trends! Hope Warshaw, MMSc, RD, CDE is a nationally recognized and respected nutrition and diabetes expert who applies more than 35 years of expertise to communicate practical solutions for diabetes meal planning and healthier eating, whether for one person or millions. You can learn more about Hope and purchase her books from her website at www.hopewarshaw.com/books or any major book retailer (online or store).